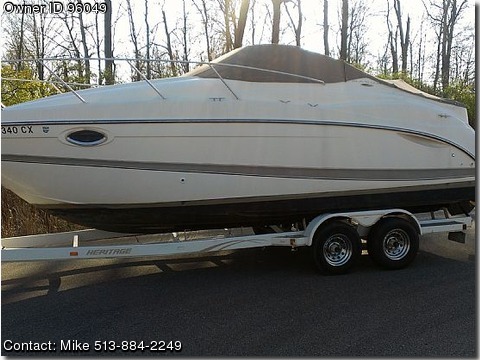 Call Boat Owner Mike 513-884-2249. Original owner, new gps system, new tahoe cover, full camper enclosure, trailer, ropes. FULL HEAD KITCHEN AIR.TANDEM TRAILER WSPARE. ALL ROPES LIFE JACKETS ETC.